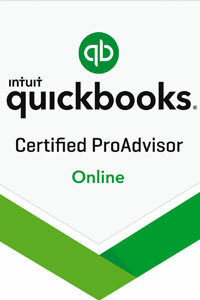 Steven Glicher accountants are delighted to announce that we are now a Quick Books Online Certified ProAdvisor, having successfully passed Intuit’s Quick Books Certified ProAdvisor Online qualification. Why is this great news for us Steven Glicher accountants and our clients? Well, the reason is simply this: Intuit’s Quick Books all-in-one accounting software will help us deliver an even better service and even more value to our clients, and that has to be good news. So what is the Quick Books Online Certified ProAdvisor examination and what are the benefits of certification? Well, certification means we can rightfully claim to have expertise in the field, having been tested and certified by Intuit on a range of Quick Books products. That expertise means we can help businesses get the most out of Quick Books software, by providing a range of services like Quick Books set up, training, payroll and consulting. It also means Steven Glicher accountants can help small business clients quickly resolve common errors and automate everyday tasks with Quick Books Online. Have access to the Quick Books Certification logo; which we will be able to display on our website and business cards and wherever we advertise and promote our services. Are able to use the Certified ProAdvisor logo to promote our practice to prospective clients searching for Quick Books help and advice in our region. If you would like to find out more about the advantages and benefits of Quick Books software, or would like help and advice on bookkeeping, VAT returns, self-assessment tax returns, payroll, cloud accounting, Business Start Ups or company formation, then call Steven Glicher accountants on 0161 485 8007 or email info@stevenglicher.co.uk.